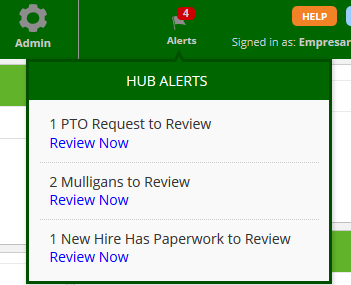 Mulligans: If you forget to clock in, the next time you access HUB to clock out you may see a "clock in" message unexpectedly. 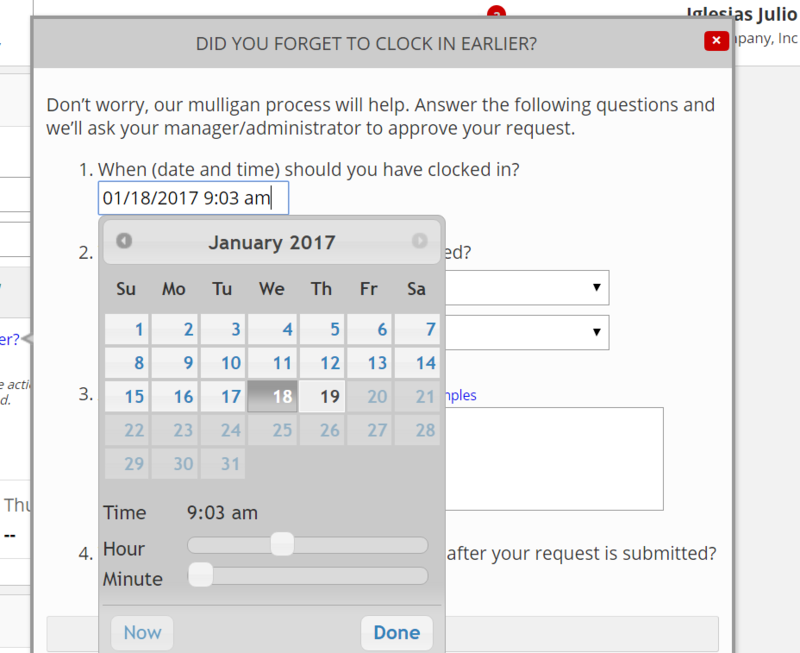 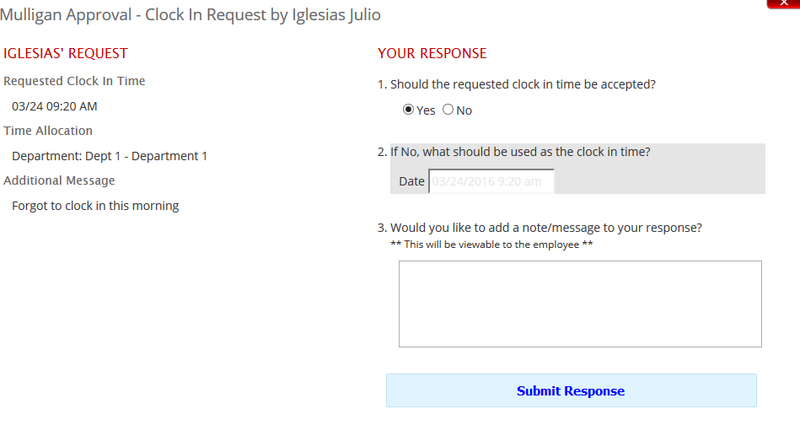 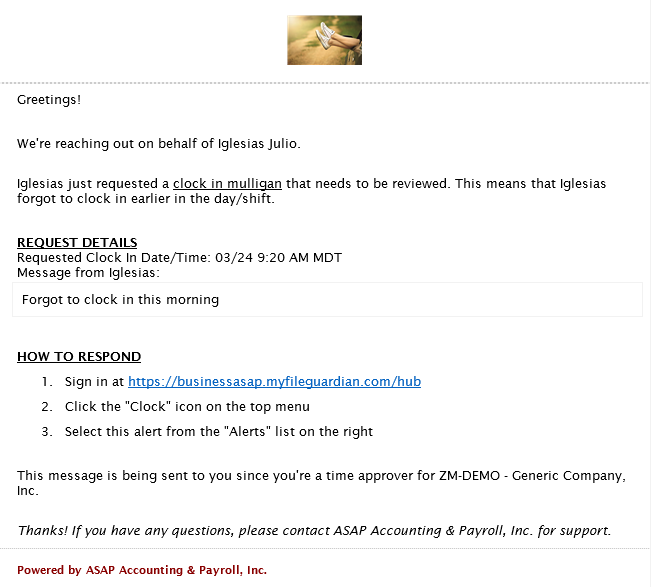 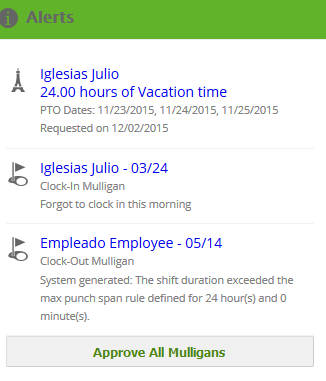 Instead of clocking in at the wrong time, use the Mulligan Request workflow to send you manager a Mulligan request to punch you in earlier. 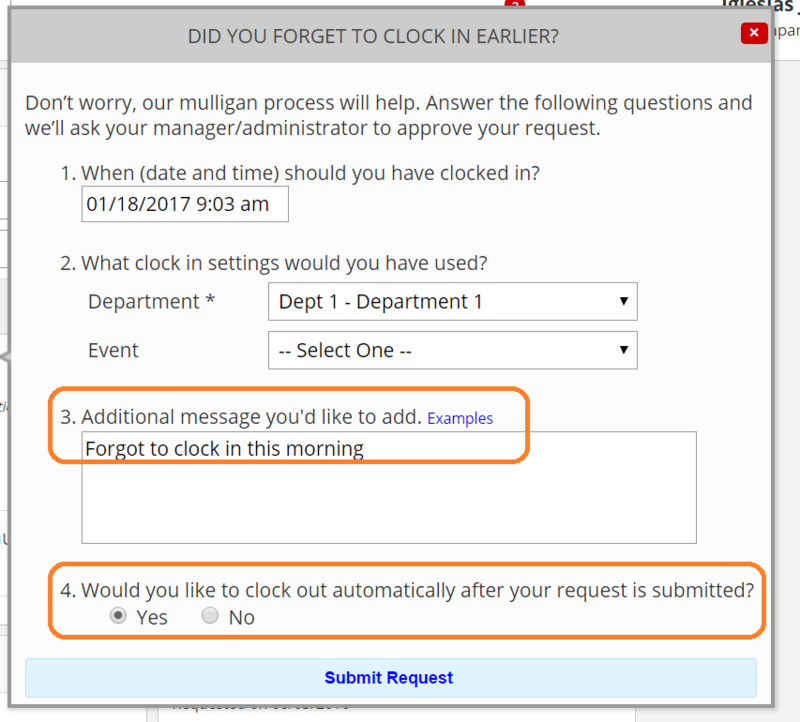 At the end of the Mulligan request workflow; you'll be asked if you should now automatically clock out.